As a matter of fact, the Galaxy A20e should be better compared with the Galaxy A20, a phone that's been launched by Samsung last month. The only differences between the two devices are the display and battery, but prices should vary as well. Before we go into more details, it's worth mentioning that the four smartphones revealed by Samsung early today are part of the new Galaxy A series, which has been recently merged with the Galaxy J family. If you haven't recognized the naming scheme from the Galaxy S10 series, the Galaxy A20e is the cheaper, smaller version of the Galaxy A20, but we don't expect its price to be much lower than that of the regular model since there aren't too many differences between the two. Now, the Galaxy A20e sits at the bottom of the new Galaxy A series, alongside the affordable Galaxy A10, which is why its specs are quite impressive. Yes, the Galaxy A20e is great value for money, assuming its priced lower than €200. The main selling point of the Galaxy A20e, besides the low price, is probably the large 5.8-inch Infinity display. However, unlike the regular A20 model, this one trades the Super AMOLED screen for a standard LCD one. The HD+ resolution remains the same, just like the 13+5MP rear and 8-megapixel front-facing cameras. 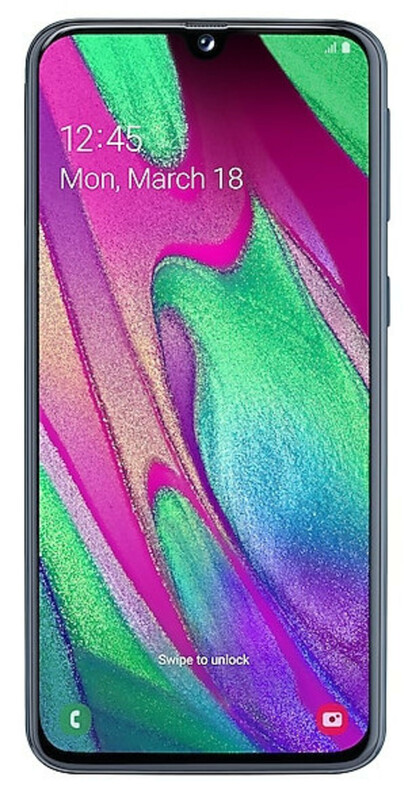 Even though it's an affordable smartphone, the Galaxy A20e does include a rear-mounted fingerprint sensor, as well as a powerful Exynos processor with eight cores, paired with 3GB RAM and 32GB storage (up to 512GB via microSD). The 3,000 mAh battery that powers the phone features fast charging 15W, but it's smaller by a large margin compared with the Galaxy A20 that packs a massive 4,000 battery. Other highlights of the phone include Android 9.0 Pie, LTE support, FM radio, and even a 3.5mm audio jack. The slightly better Samsung Galaxy A40 boasts a larger 5.9-inch Super AMOLED display with full HD+ resolution. It's got a dual-camera setup on the back comprising of 16MP+5MP cameras, and an impressive 25-megapixel selfie snapper, which seems a bit of an overkill. The octa-core processor inside is coupled with 4GB RAM and 64GB internal memory, which can be further expanded up to 512GB. Just like the Galaxy A20e, it comes with a rear-mounted fingerprint sensor and a slightly larger 3,100 mAh battery with fast charging 15W. However, the Galaxy A40 charges up through a Type-C port, unlike the Galaxy A20e that uses a standard micro USB 2.0 port. LTE support is on board as well, along with Android 9.0 Pie. 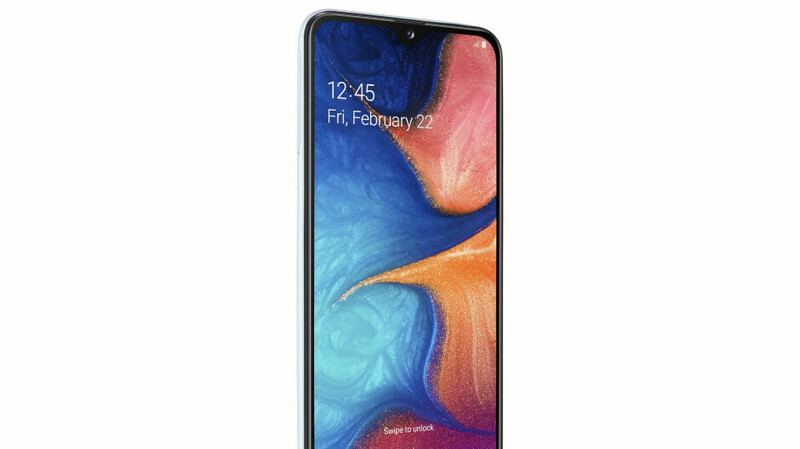 As you can see in the pictures, both Galaxy A20e and A40 feature the so-called waterdrop notch, a minor compromise that allows the smartphone maker to accommodate the front-facing camera and still be able to provide an all-screen experience. Samsung announced the Galaxy A40 is now available for purchase for around €250, but the Galaxy A20e has yet to receive a price. We know it will go on sale at some point this month and that it will cost less than the regular Galaxy A20, which is up for grabs for about €200. We do believe some of Samsung's new Galaxy A series will make their debut in the United States, but we don't know exactly when and which devices. Our best bet is on the better-specced Galaxy A70 and A80, but some of the lower-end models might be picked by some of the US carriers as well. Wow Samsung is actually making decent low end and midrange phones at great prices. Htc, Sony and lg should take note. They went balls deep with this lineup, very good to be honest. I haven't experienced the One UI myself, but it may be a very good UI for Samsung to enhance the beauty of these phones. One Ui is too good.